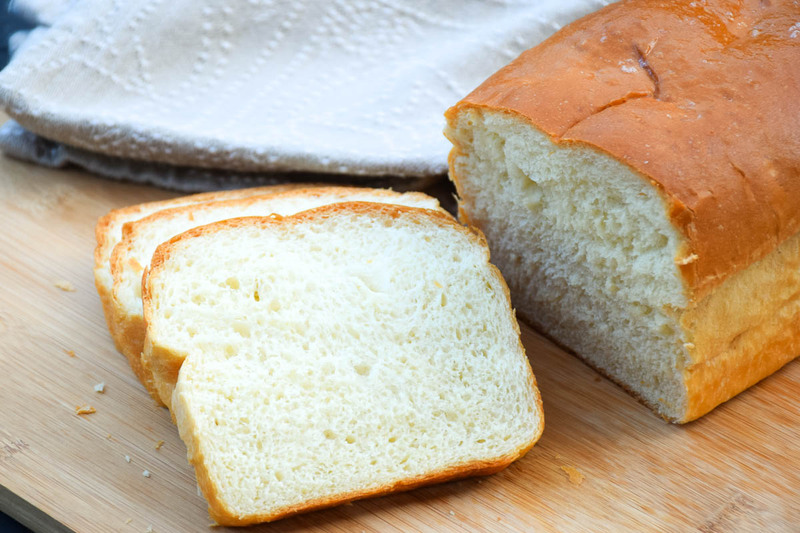 Homemade Soft White Bread is an easy recipe that makes a super soft and delicious loaf of bread! Tender and full of flavor, watch it disappear as quickly as you slice into it! This is far better than any store bought loaf of bread out there! Would you believe we are not big bread eaters? 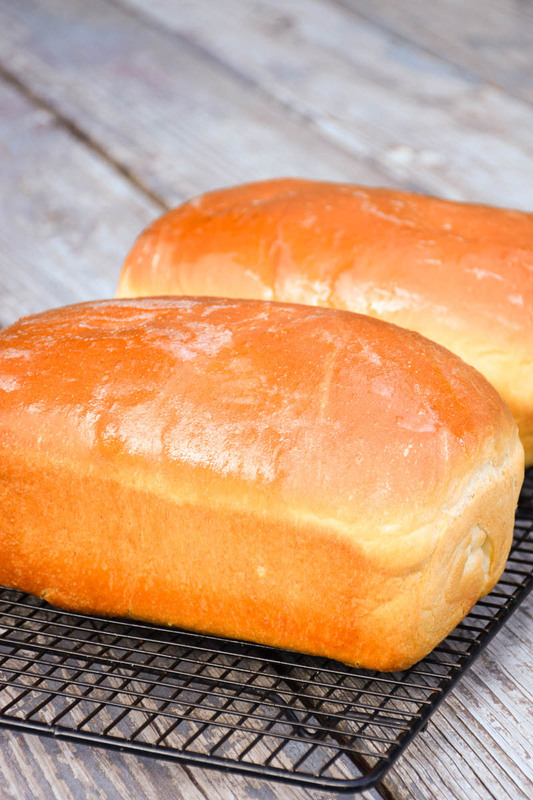 While I love bread, I really only love homemade bread. It is what I grew up on. 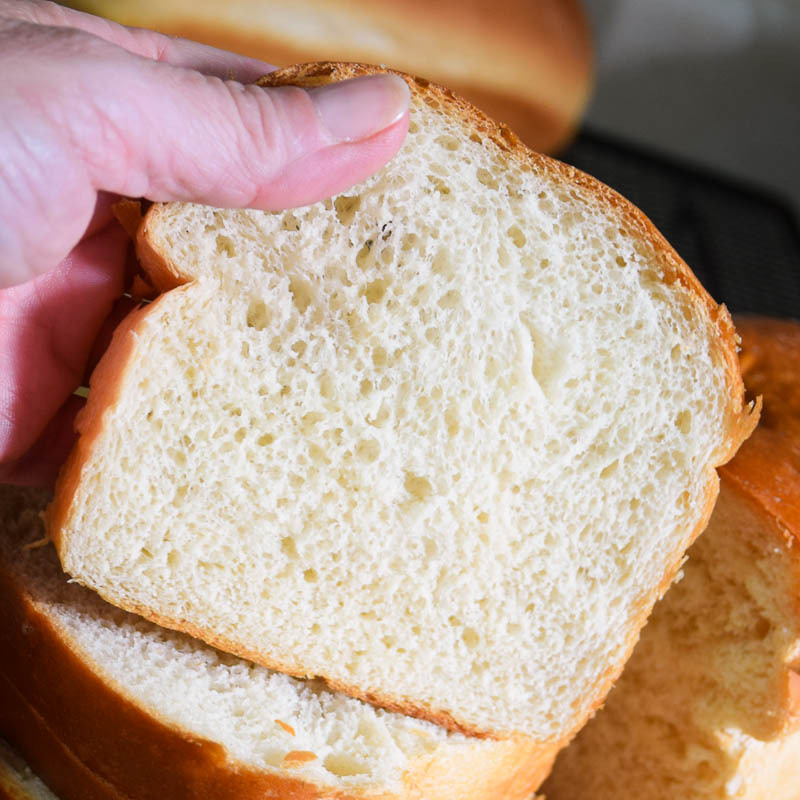 Mom most always had bread in the oven and to this day, when I visit home, the bread on her counter is rarely from the store and she most always has some in her freezer. As I read that last sentence above it reminded me that Mom isn’t much different than Nanny was – except that it was cookies and not bread that Nanny always had on hand! 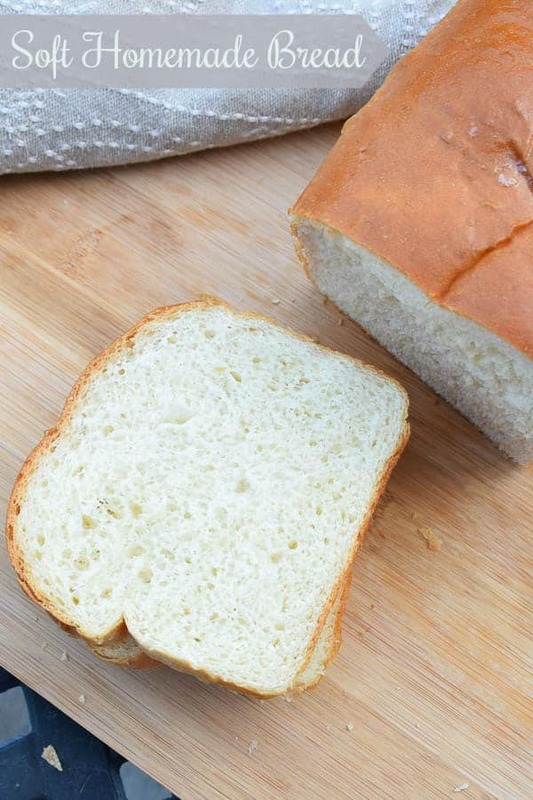 How easy is this recipe for Homemade Soft White Bread? It is as easy as warming up the milk and melting the butter and putting the ingredients in your kitchen aid (or mixing bowl) in layers! The Kitchenaid does all the work and I absolutely love it but if you don’t own one, you can still mix by hand. I also like to wash my Kitchenaid bowl out and then put a little oil in the bottom to coat the pan. I then will put the dough back in the mixer bowl to do it’s first rise. 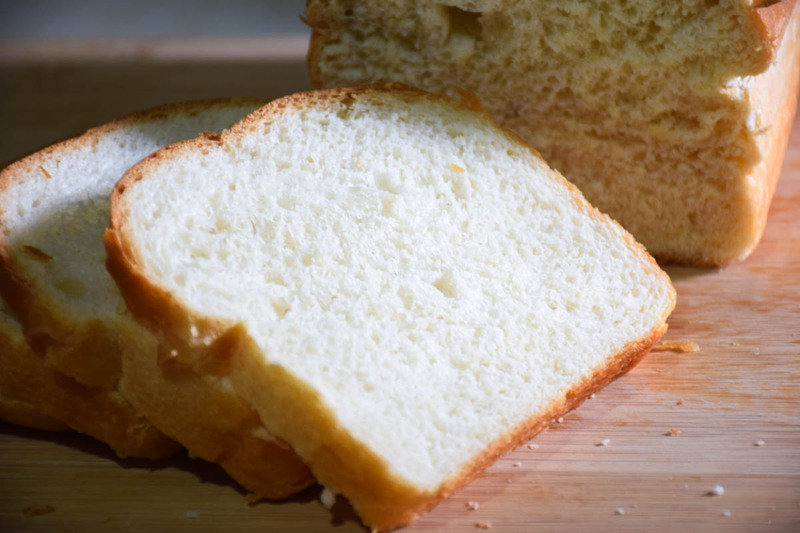 Grumpy loves this soft white bread recipe. He is a fan of soft breads that remind him of store-bought bread. Unlike me, Grumpy grew up with the soft loaves in the store. 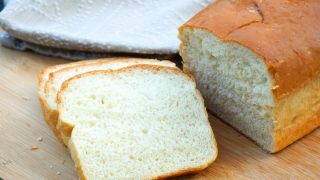 However, now he doesn’t complain when I make bread because this soft white bread recipe reminds him of those soft store bought loaves! An issue I would always have in our old rental was I had a hard time finding a warm, draft free place to put my bread while rising. One of the things I love about our new home? The floors are SO warm which makes them a great place to sit my bread to rise! On my snow day, I also made the Venison and White Bean Chili, along with the Meyer Lemon Curd. 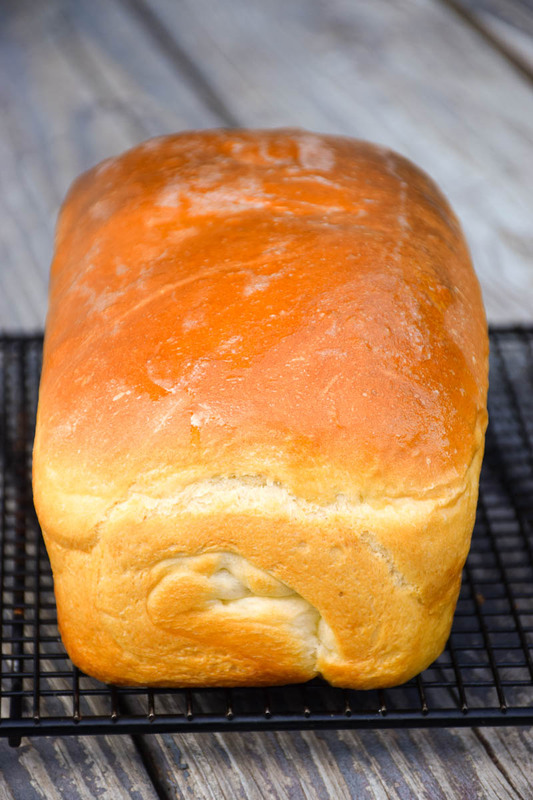 I love the warm comforting feeling you get with the aromas of freshly baking bread in your home and the added warmth of the chili just put it over the top for me that day. It just reminds me of, well, home. I realized that I just don’t make homemade bread often enough and I plan to remedy that. 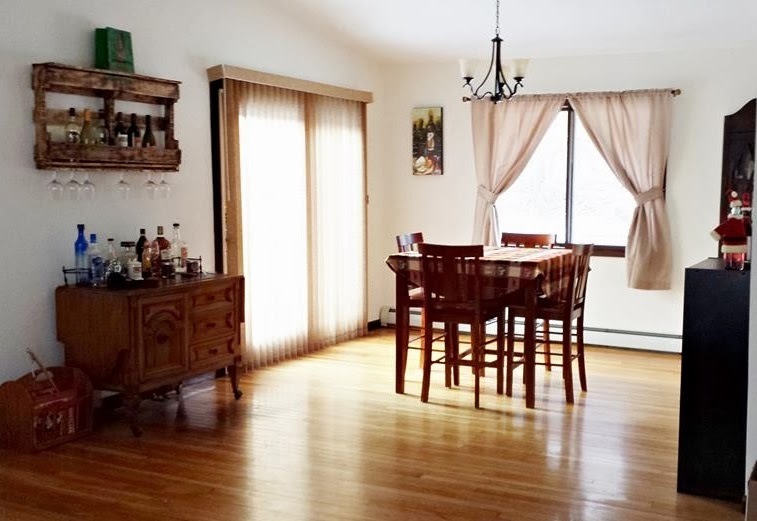 I also plan to make this place feel more like home every day! 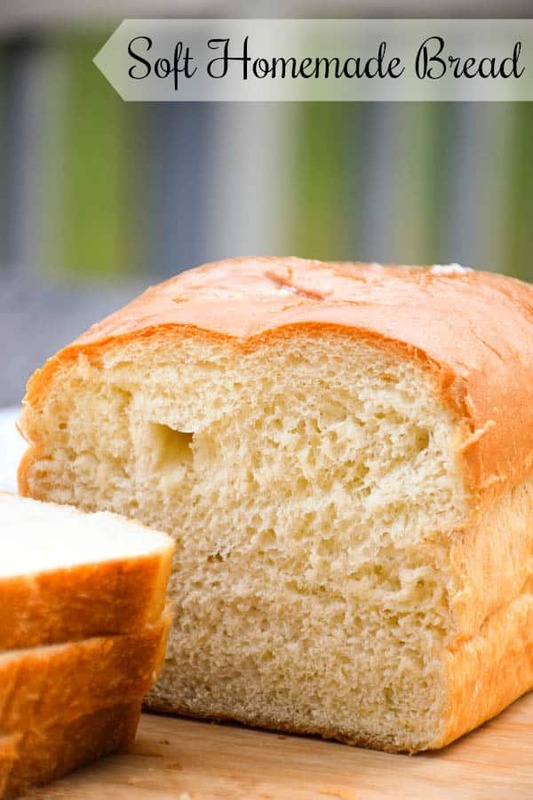 How to know if the bread is really done? My mom taught me to tap the loaves when you think they look like they are done. They should have a hollow tap. 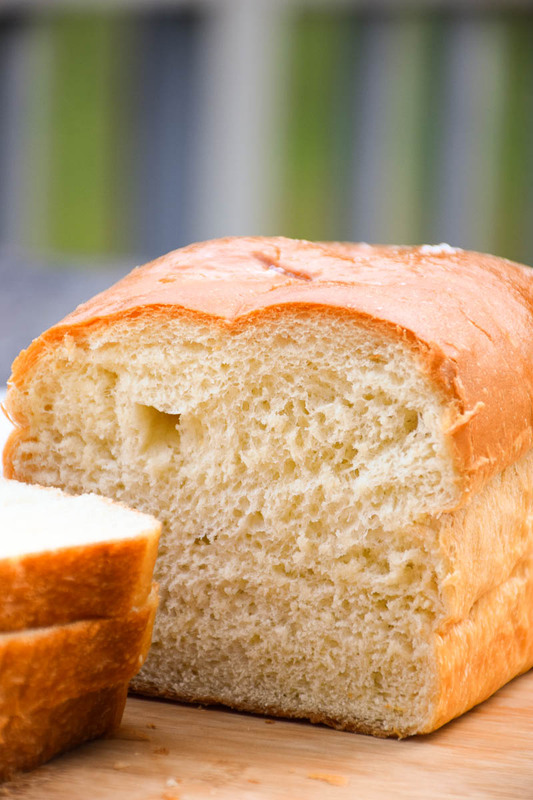 Mom always used the stick butter to rub the top of the warm loaf. She would remove some of the paper and just rub it over top until it was covered. 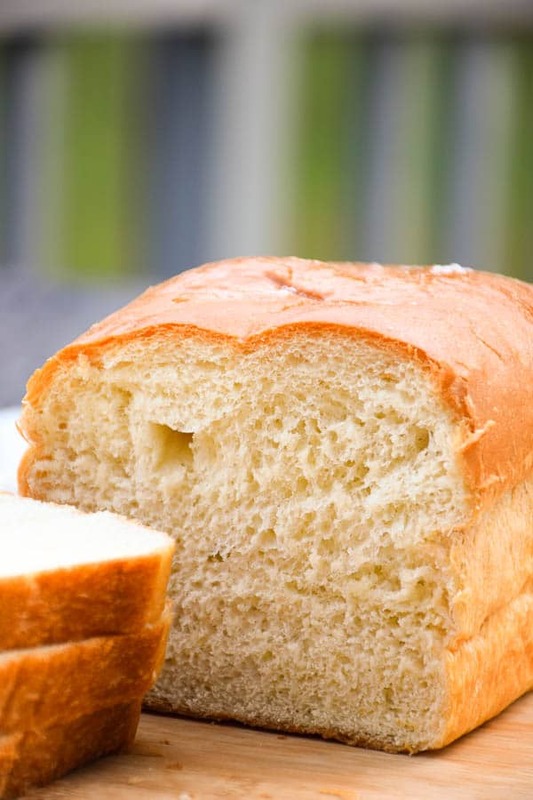 If you don’t want to add the butter to the top because of the added fat, you can just put the warm loaf of bread in a bread bag. Do not close the bag, let it sit loosely open until cooled. The condensation will keep the crust soft! 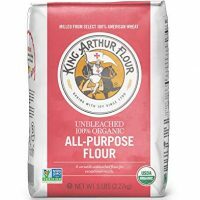 In Kitchenaid mixing bowl add ingredients as follows: Warm almond milk, melted butter, granulated sugar, salt, and 4 cups of the all-purpose flour. 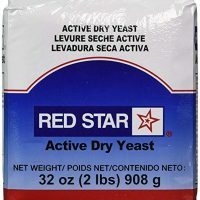 Make a small well in the flour and pour the yeast into the well. Turn dough out onto lightly floured board. Knead a few more times. Place in a lightly oiled bowl (I use my Kitchenaid bowl - I just wash it first) and cover with wrap. Set in a warm, draft free spot and let rise until double. About 1-1/2 to 2 hours. Punch dough down and divide in half. Shape into 2 loaves and place in bread pan sprayed with cooking spray. 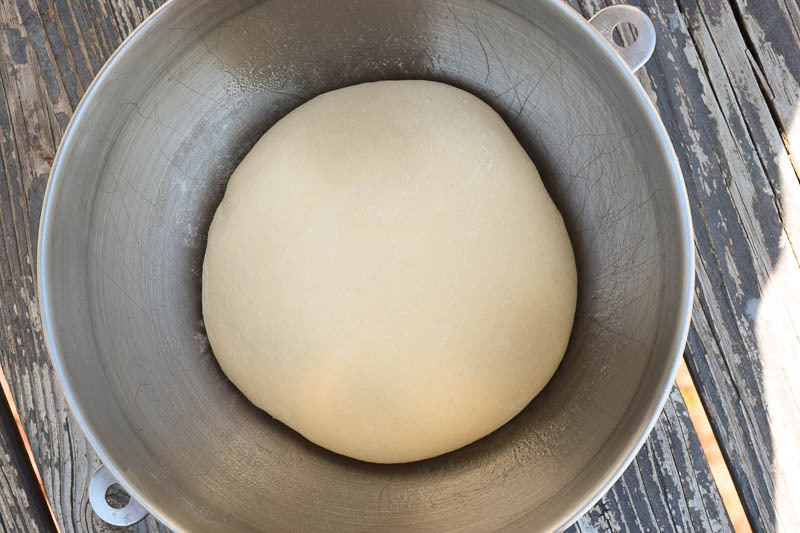 Sit in a warm, dry place and cover with a towel until dough has risen to the top of the bread pan (or slightly over). About 1 hour. 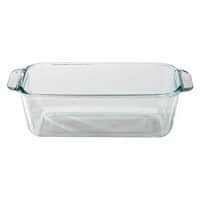 Place in oven pre-heated to 350 degrees and bake for 30-35 minutes. Remove from oven and immediately rub the top of loaves with a butter if desired. Nutrition information is provided as a courtesy but will vary depending on the specific brands of ingredients you use. Please consult with your doctor regarding specific health needs. Looks like bread perfection! Like your Mom and Nanny, I would think it’s brownies always on your counter! Hi! Does it have to be almond milk for this recipe? Hubby is extremely allergic to nuts. Would regular milk suffice? Absolutely, you can use whatever milk you use in your home 🙂 Enjoy!